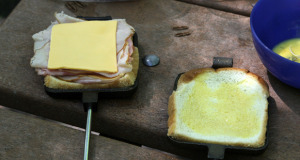 One of our favorite things to do when camping is to make at least one breakfast over the campfire. 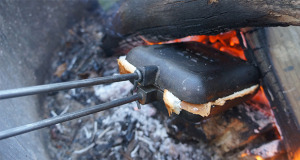 There is just something about a morning campfire, it helps take the chill out of the air and all food just takes better over open flame. 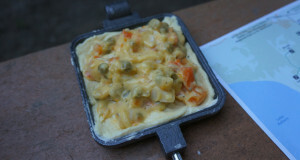 We have recently gotten in to using a pie iron. 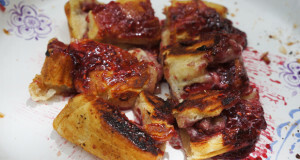 If you’ve never used a pie iron, there is a slight learning curve, but you can seriously make anything in them. 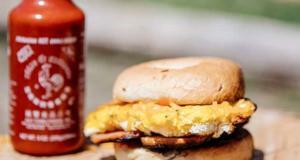 Just last weekend we created these egg and bacon breakfast sandwiches and they were a big hit. 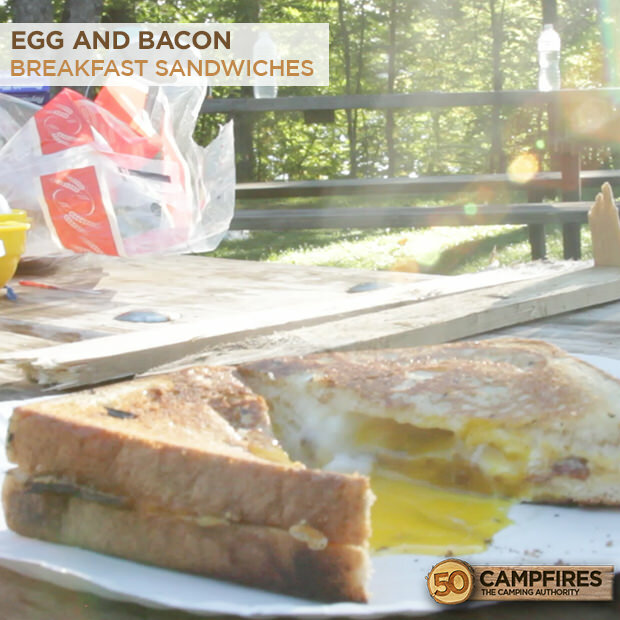 We are always striving to create meals that don’t take much prep at the campsite or meals we can prep ahead of time and these breakfast sandwiches fall in to both of those categories. 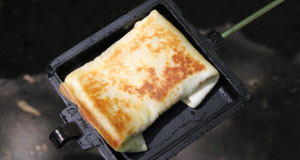 With only 3 ingredients they are super simple and lend themselves to small prep work before you leave for the campsite. If you really want to make it easy on yourself, cook the bacon ahead of time so at the site you can just assemble, cook and eat. 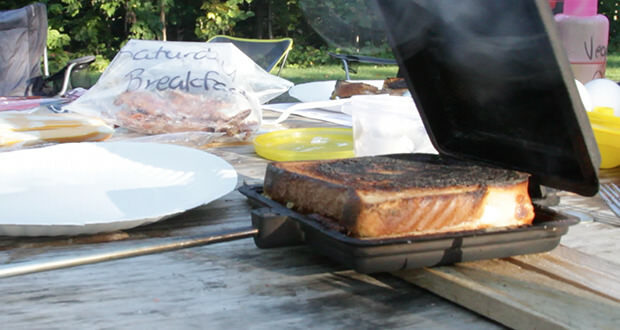 If you prefer to make it at the site, you can easily make the bacon in a cast iron pan over the campfire. 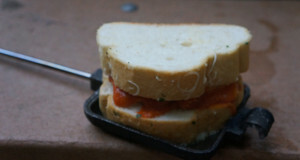 These bacon breakfast sandwiches allow you to just crack the egg over the bread and bacon with out cooking beforehand. 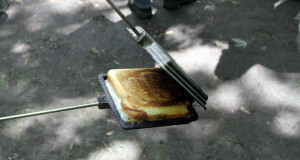 It will cook while in the iron and we learned that you can make the egg to your liking. If you like a runny yoke, don’t put it in as long, if you want it solidified just keep it in a bit longer. These egg and bacon breakfast sandwiches are easy for the whole family to make and kids seem to enjoy creating their own breakfast all by themselves. 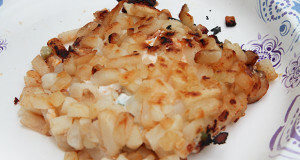 Cook on each side for 3 minutes. Check for doneness.